Situated in Goodyear, Arizona, a suburb near the base of the Estrella Mountains with easy access to Phoenix city centre, this hotel offers convenient amenities such as a continental breakfast. Hampton Inn & Suites Phoenix - Goodyear features free high-speed internet access and a business centre with photocopy and fax services. In the afternoon, guests can work out in the fitness centre, then cool off with a swim in the outdoor pool. The area surrounding the Goodyear Hampton Inn is only minutes from golf courses and shopping. Guests can attend an event at the Jobing.com Arena or watch a race at the Phoenix International Raceway. 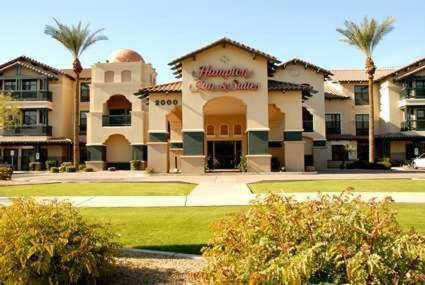 the hotel Hampton Inn & Suites Phoenix-Goodyear so we can give you detailed rates for the rooms in the desired period.